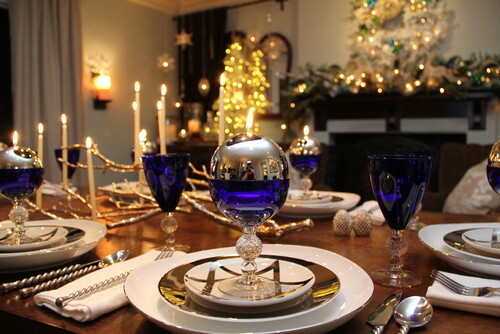 We’re getting closer to Christmas, the busiest time of the year! 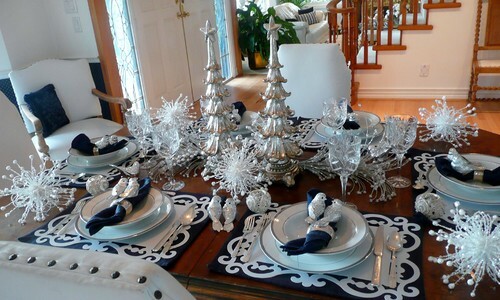 Sooner or later, we all plan to check the attic and bring the Christmas tree and decor down. The checklist is very similar from year to year and it makes our tradition. We think about where to put our Christmas tree, hang the wreath, place garlands and other little things around a house and our reward? 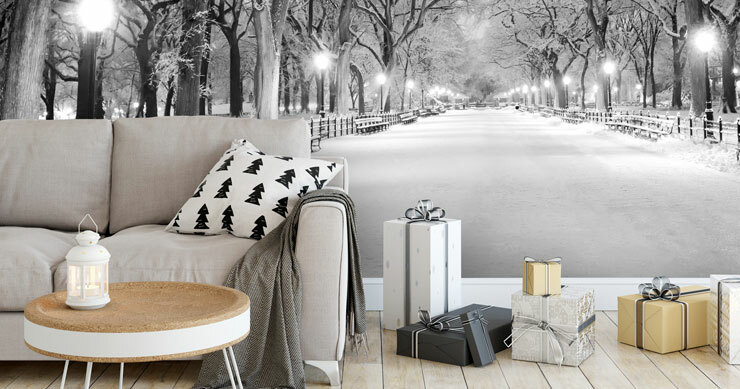 A cosy, warm home for long cold winter days! 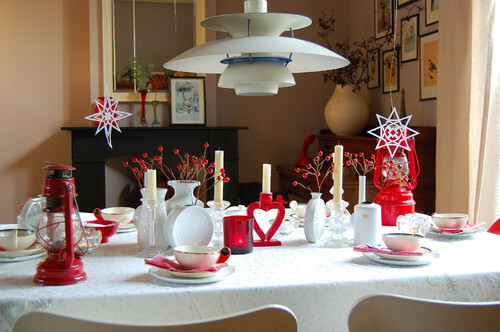 Winter décor evolves and each year we can find new interesting products and new looks for old things, making the whole process more fun and exciting. Let's check 5 of the most trending products and looks for Christmas. 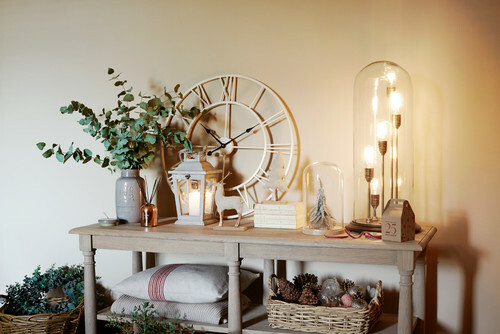 Timber and wooden decor without doubts bring warmth and comfort to any interior. Moreover, wood has psychological influences on us. The presence of wood reduces stress and has positive effects on emotional states. However, you don’t have to order solid wood panels. 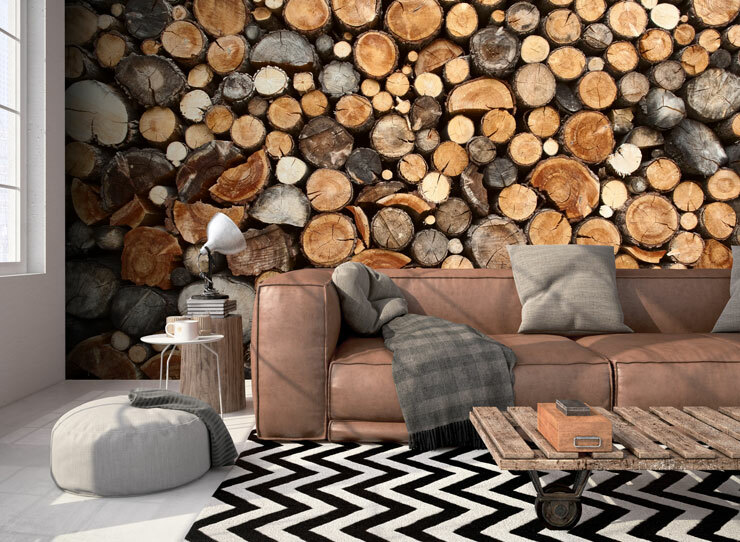 A great alternative is to place a wood log wall mural on one of the walls in the room. 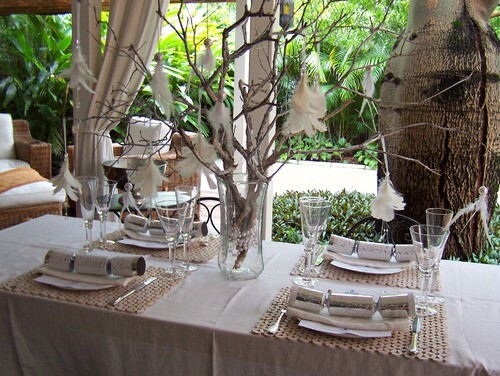 Continue your organic look by adding twigs, pinecones and little branches. 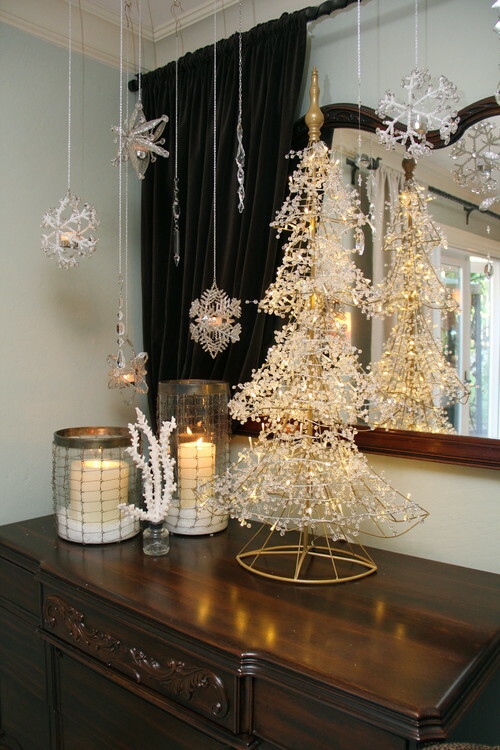 Small décor will become a great addition to your Christmas interior this winter season. It makes me think of soft throws, a mug of hot chocolate and a relaxing evening near the fireplace. 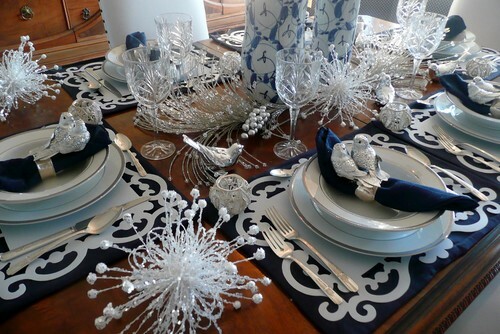 Beautiful clear or frosted finished glass accessories can create a Winter Wonderland in your home. 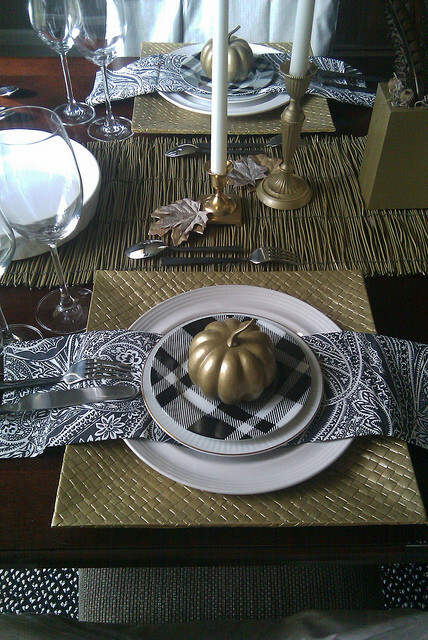 They’re also great to use as a centrepiece in the living room or dining table. Warm shimmers of gold are a symbol of tradition, wealth and are simply chic. 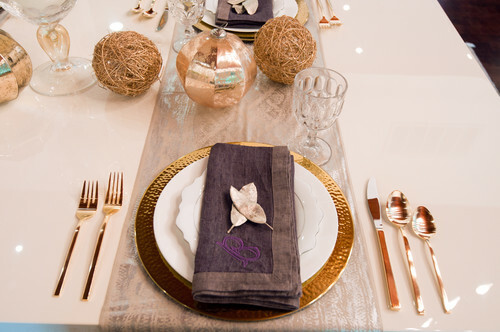 To get a stunning look, mix gold with white or with something made of glass. 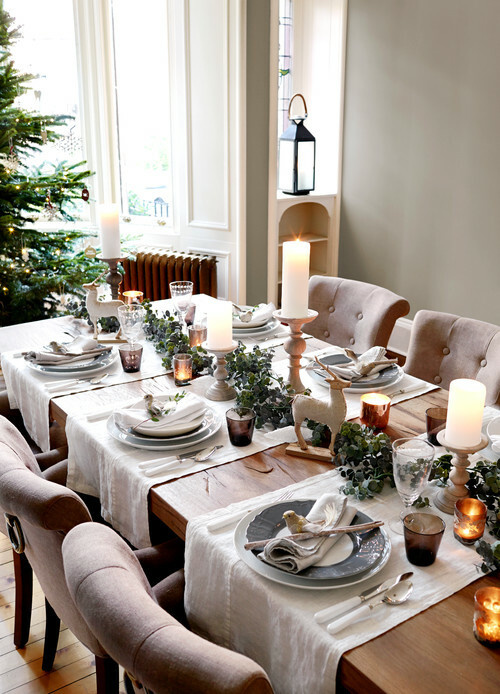 If you are looking forward to getting a new look this festive season, create a colour theme and bring the idea to the Christmas tree, mantelshelf and finish with a well-arranged table set. 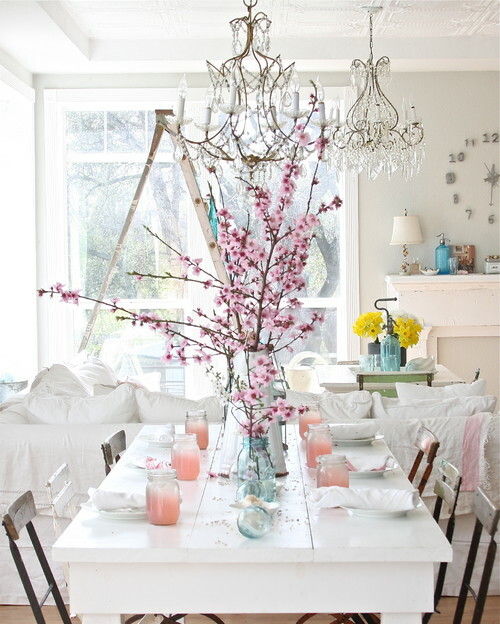 For the best results, choose a neutral white and silver background and add accent colours of your choice. 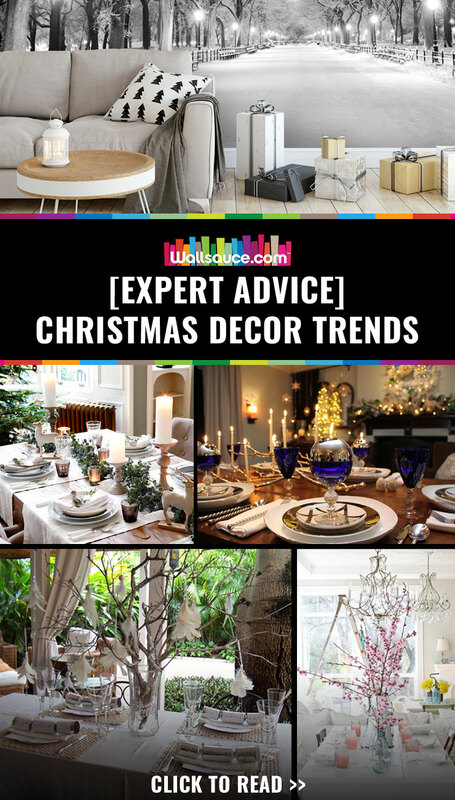 These colours make the top list of Christmas trends this year. Although, if you are mad about purple or green, go for what you love! Little figures are everywhere! Here are charming reindeer, snowmen, birds and more. A set of each on display is a little reminder of childhood innocence and belief in a bit of magic. I like to say that decorating your home doesn’t start from a set of rules and instructions and it isn’t about perfect style and fashionable trends either. It is all about you, your personal comfort and home where you want to come back and stay! Trends are the guidelines but make it personal to be special!